There is nothing worse than the runny nose, sore throat, hacking cough, and exhaustion that comes with a cold or any sickness. There is nothing better than our at home remedies that families and friends make for each other and pass down generation after generation. 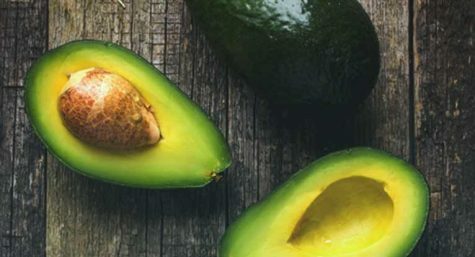 Below is a list of different home remedies with recipes that people swear have healing abilities. I had to start with the classic. Whenever a cold catches on to someone in my family, my mom makes a huge batch of chicken noodle soup that lasts the week, tastes amazing, and may have healing abilities. 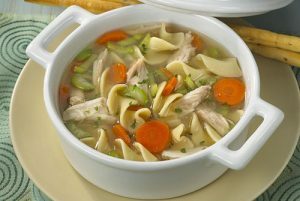 Studies show that chicken noodle soup can help clear nasal congestion and provide hydration to heal the body with the steamy broth, can strengthen the immune system for a quick recovery with carrots, onions, celery, and chicken, and feel full with the noodles. Chop up your onions and cook in a large pot with butter until they turn a translucent color. Add in the broth and let it simmer. Slightly steam your carrots and then put the carrots and celery in the broth. Cook until the carrots and celery can be cut in half with a fork. Add in the noodles and cut up chicken and let cook another 8 minutes, or until the noodles are done. Sprinkle in parsley or any of your favorite spices and serve warm with crackers. 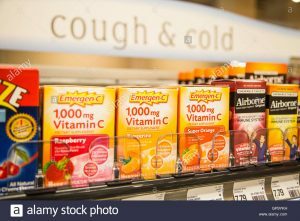 For the days when you feel yourself starting to catch a cold with a stuffy nose or sore throat, take airborne or emergen-c! These Vitamin C supplements have the amount of Vitamin C as 10 oranges and the Vitamin C helps to boost the immune system and shorten the duration of a cold. Mix the Vitamin C supplement packet in water and drink. 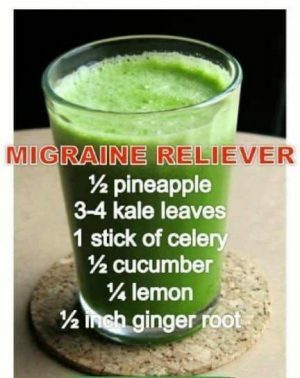 Migraine headaches usually occur from lack of water and the vegetables and fruits below will rehydrate you and fill you with nutrients to make your migraine melt away. Directions: Blend all of these ingredients and drink when you feel a migraine coming on. 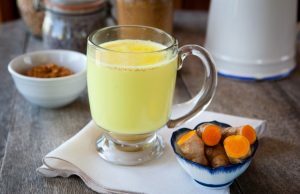 Tumeric is an amazing anti-inflammatory which can help to sooth any bad cough. 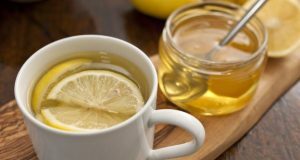 Honey is also an old remedy to soothe the throat. Directions: Heat in a small pan and do not allow the mixture to boil. Pour into a mug and stir. Another option is to immediately put the ingredients in a mug, stir, and heat in the microwave for about a minute. 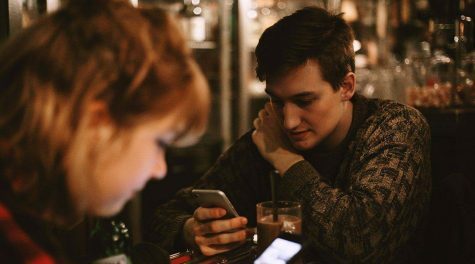 This nearly ancient remedy will immediately help a sore throat. The warm steam from the water will soothe the throat as well as the honey. The lemon is an astringent and will shrink the sore throat tissue to make a hostile environment for any bad bacteria in the throat. 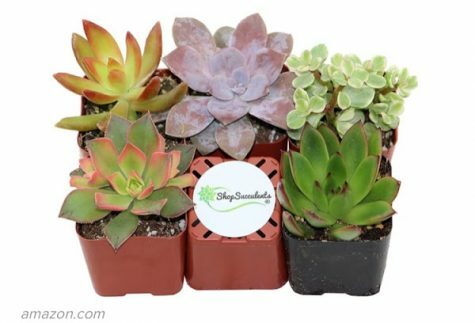 Directions: Heat in a small pot until nearly boiling, pour into a mug, and drink warm. 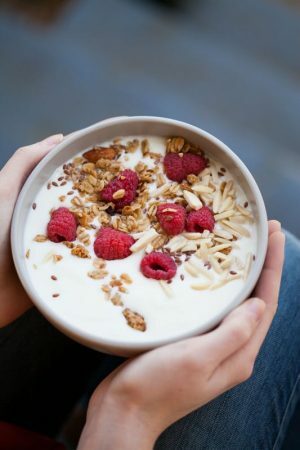 One of the best remedies for an upset stomach is to eat yogurt. The probiotics relieve any digestive discomfort and boosts the immune system. 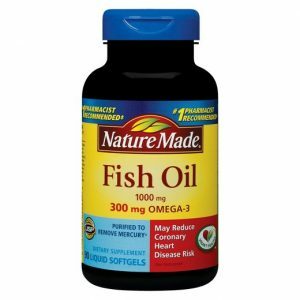 Although some people prefer to take an ibuprofen for period pain, fish oil lowers inflammation and many women say their pain alleviates from taking this supplement during that time of the month. In my opinion, there’s nothing a heating pack can’t do to relieve cramps. Fish oil supplements and a heating pack. Everyone has experienced nausea at least once in their life and natural remedies are especially great to relieve this discomfort. 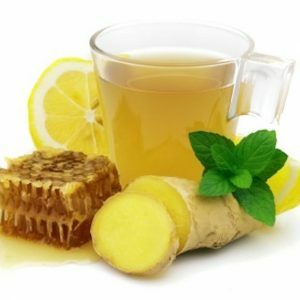 Ginger has been shown to consistently relieve nausea that occured due to seasickness, morning sickness, and chemotherapy. Peppermint’s aroma can also relieve nausea very efficiently and is often used in aromatherapy.